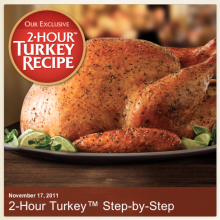 Target also released their new printable coupons. There’s a printable coupon for $1/1 Hungry Jack Pancake Mix or Hungry Jack Syrup making the Easy Pack FREE after the coupon. The everyday Easy Pack price is $0.99 at most stores. Here is a HOT deal not to be missed. There is a new $0.75/1 Muir Glen printable coupon available for you to print (zip code 94127). You can combine this one with the $1/2 from the printable Whole Deal and you can get Muir Glen for FREE! Final price: 2 for FREE after coupons! I love these natural fruit strips. This is by far the best price I have seen for them. They are over a $1 each when you buy them at the grocery store. 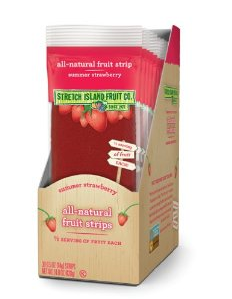 Amazon.com has Stretch Island Original Fruit Leather for $12.80 but if you use Subscribe and Save you can get them as low as $10.88 shipped. Head over to Amazon.com and check out this deal and more on healthy snacks for you family. 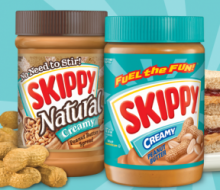 Skippy Natural Peanut Butter $1.80 Shipped! I’m sure you’ve all been reading how the price of peanut butter is expected to skyrocket. I’ve been watching the prices slowing increase and been looking out of the best deals. 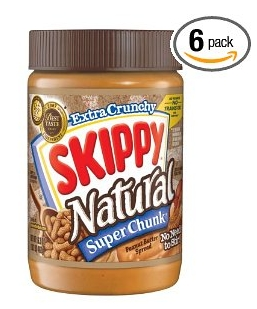 Right now the best deal for Skippy Natural Peanut Butter is over at Amazon.com. You can get Skippy Nautural for as low as $1.80 each when you use Subscribe and Save. You’ll get a pack of 6 for $10.80 working out to $1.80 each with FREE shipping. Remember, with Subscribe and Save you can adjust your order at any time with no obligations. I love it! Head over to Amazon.com and check out this deal on Skippy! Walmart.com is offering a great coupon for Skippy Peanut Butter! Head over to Walmart.com and get a $1/2 Skippy Coupon from Red Plum. Get your coupon while is still available! This would be a great coupon to stack with a store deal! 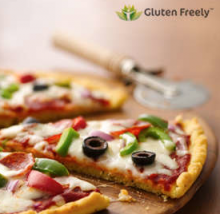 BOGO Free Athenos Feta + $1/1 Printable Coupons Available! Are you on Twitter yet? If not, you might want to get an account set up. I think we’re going to see more and more brands offering really great deals for their followers. If you follow Athenos on Twitter, you’ll get a B1G1 Athenos Feta Cheese printable! To make this deal even better, Coupons.com has a $1/1 Athenos Feta Coupon. 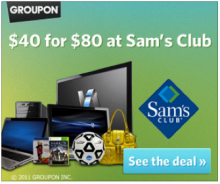 You can combine these two coupons for an awesome deal!